When you need to purchase an air conditioner for a new home or business or are looking to replace an existing unit, it is important to select a company that carries top quality products, offers benefits such as AC rebates and financing and has the reputation of being the best AC company in the area. Caldeco Air Conditioning & Heating meets all of those qualifications and more. We are a family owned and operated hometown business that has served Clearwater and the entire Tampa Bay region for over 25 years. We have won numerous awards, including the Carrier President’s Award in 2007, 2009, 2015 and 2016 and the Angie’s List Super Service Award. Frequently offering money-saving AC rebates, we carry the most energy-efficient AC systems and offer systems manufactured by the best AC company in the world – Carrier Corporation. As a Carrier Distinguished Dealer, Caldeco Air Conditioning & Heating installations are backed with a one-year, 100% Satisfaction Guarantee. All special promotions, including AC rebates, are available at various points throughout the year on new AC system purchases, and financing, with approved credit, is also available on the purchase of any new system. In addition to new residential and commercial air conditioning systems, we offer AC repair and maintenance and duct cleaning services. All Caldeco Air Conditioning & Heating repair service technicians are NATE certified and have experience working on all AC brands. We are quick to respond to emergency service calls, and our technicians are available to make repairs 24/7. Scheduled maintenance of your AC unit is recommended by manufacturers, and our Caldeco Energy Savings Agreement offers tremendous benefits including our Precision Tune-Up. 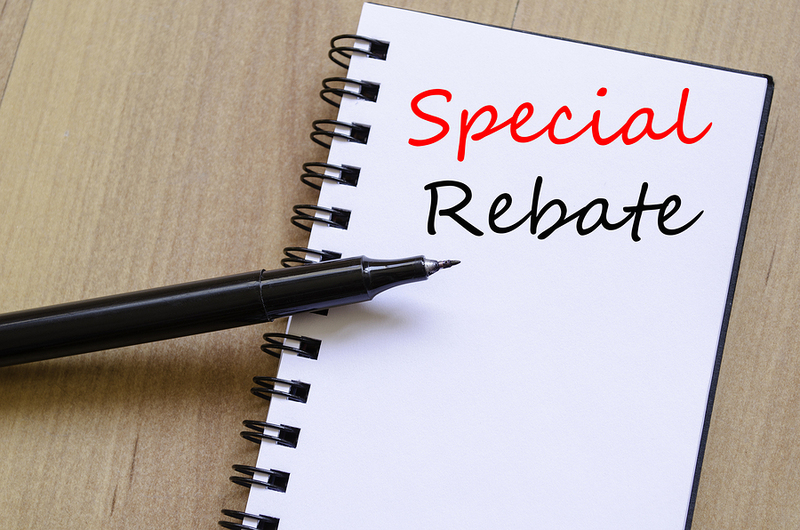 Contact us today to find out what AC rebates we have available now for the purchase of a new AC unit. We look forward to serving you in Tampa, Wesley Chapel, Brandon, Westchase, New Tampa or neighboring cities.